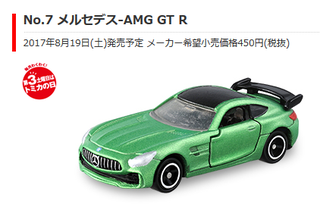 That looks to be another great month for Tomica. The new #7 is the AMG Mercedes GT R - and it looks very nice indeed! The new 78 is the Subaru Impreza. The catch here is that the very limited first day edition will be a different casting again - this time it’s the hatchback. That will be hard to catch indeed. That’s all for now - happy collecting!